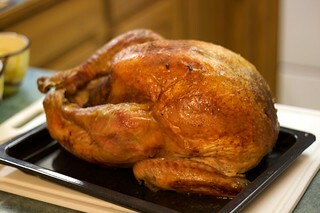 Although I didn't have too much to do with cooking this bird, I often think we should have turkey more often. They are so tasty, not expensive, and I love the leftovers. Why only on holidays and special occasions?